Simplify Double Lens Cbl Blast Mirror - Spare Lenses - SHRED. 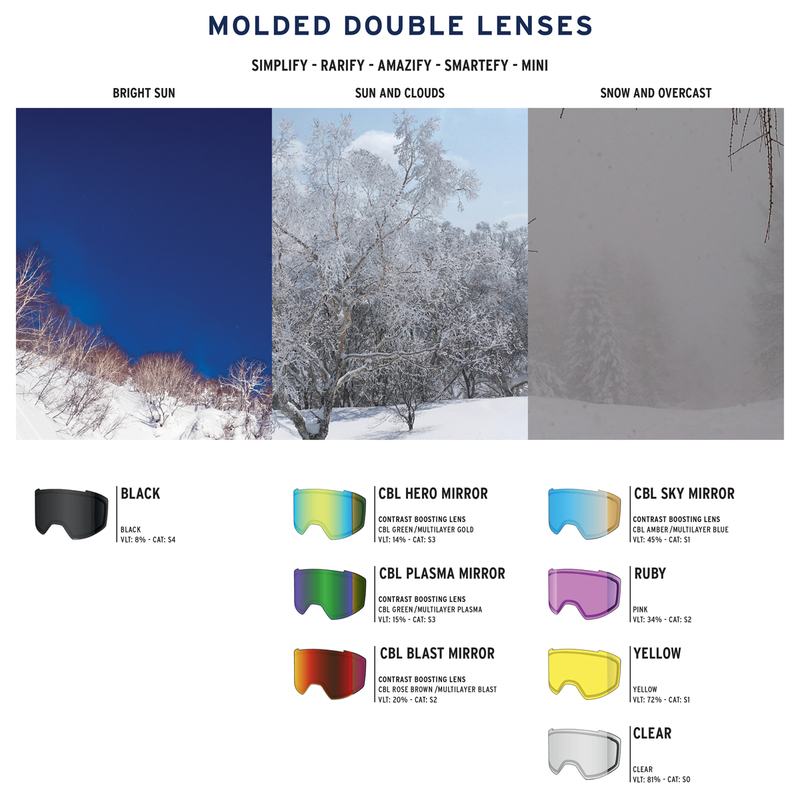 Ultra-high-optical-precision molded, cylindrical double lens with tapered thickness to optimize vision at all angles and enhance impact protection. Different lens tints and mirror colors are available to provide the best performance in different weather and light conditions, all with 100% UVA-UVB-UVC protection. Its Super Anti-Fog treatment provides extremely long-lasting clarity. Its CONTRAST BOOSTING LENS™ (CBL) and NODISTORTION™ technologies (available in select models) enhance contrast and image definition and the 1-2-3 SHRED REPLACEMENT SYSTEM™ allows you to swap lenses in just 3 easy steps. 1-2-3 SHRED. REPLACEMENT SYSTEM™ | 3-step quick and easy lens replacement.